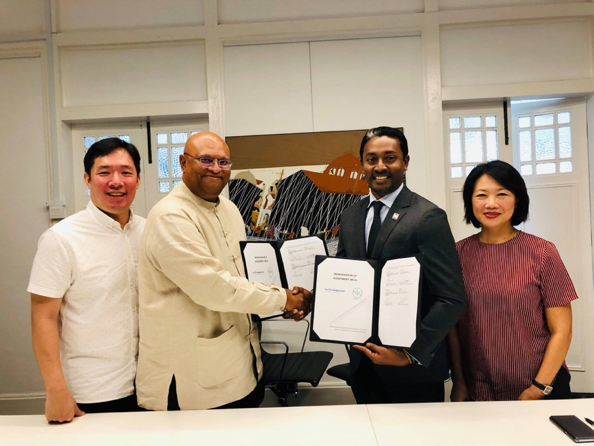 Singapore April 18th, 2019 – Today, Knowledgecom Corporation Sdn Bhd, a subsidiary of Censof Holdings Berhad and Millet World Pte Ltd announced a strategic partnership. The companies will collaborate and develop business in education, training and skills development in emergent technologies. Armed with more than twenty-five years’ experience in building communities, Millet World has domain expertise in teaching children the Arts and Emerging Technologies with territorial know how and network connecting business in Singapore. Millet World Digital Chief Executive Officer, Mr Aravind Vasu said: “Our goal as a placemaking company is to build a digital-forward community and we believe that the way to achieve that is to start with disrupting the education sector. Known for their training and skills development expertise in the IT and Industry 4.0 area, Knowledgecom specialises in designing and delivering programs that will create high income, high employability and efficient workforce in all sectors. This collaboration will see Millet World and Knowledgecom Corporation join forces with to jointly develop and own courses on emergent technologies. In partnership with Millet World, Knowledgecom will also facilitate in producing trainer’s manual and learning guide suitable for marketing based on the course structure and lesson plan provided by Millet World. Kuala Lumpur, March 22nd, 2019 – Some local and foreign technology service companies are collaborating with each other to enable small and medium enterprises (SME) in Malaysia to transform their traditional manufacturing sites into smart factories. Knowledgecom Sdn Bhd (KCom) Chief Executive Officer ST Rubaneswaran said the adoption of factory automation would ultimately enable companies to maximise resources and produce higher-quality goods more efficiently. “Now, it seems possible for Malaysian manufacturing industries adopting the internet of things, wearable technologies, robotics, artificial intelligence and some of the other technologies implemented to transform traditional factories into smart ones. KCom signed a memorandum of understanding with YGL Convergence Sdn Bhd, Monitor ERP Sdn Bhd, Ingram Micro, Solara Systems, Cognitive Consulting, Fast Track Sdn Bhd, Lava Protocols Sdn Bhd, SysArmy Sdn Bhd and Century Software (M) Sdn. Bhd. Petaling Jaya, March 5th, 2019 – Century Software (M) Sdn Bhd, a wholly-owned subsidiary of Censof Holdings Berhad has secured a RM4.27 million contract. Under the terms of the contract with PERKESO, Century Software’s scope of work includes comprehensive maintenance for Standard Accounting System for Government Agencies (SAGA) compliant accounting software and also to provide an application server with disaster recovery solutions. The contract will be for 3 years. “Our goal is to be able to provide our clients with expert guidance, state-of-the-art tools, and exceptional knowledge to solve their technology challenges. This goal continues today and we have grown and currently have over 80 government agencies as clients. Each of these groups has different needs, and we always work to meet those needs, by innovating new solutions to make things easier, faster, better, and more effective. “he added. With more than 20 years supporting government agencies around the country, Century Software continues to be recognized as the leading government financial management solutions provider. Century Software also provides digital platforms and services for businesses and governments by leveraging on the power of cloud and mobile, combined with technologies such as automation, cognitive and blockchain to elevate and drive modern digital experiences that are more efficient, helpful and satisfying. January 24th, 2019 – WISeKey International Holding Ltd (“WISeKey”), (SIX: WIHN) a cybersecurity IoT platform company, today announced a strategic partnership with Cendee Sdn. Bhd., a subsidiary company of Censof Holdings Berhad (Censof) to deploy WISeKey`s Cybersecurity Vertical Platform and Blockchain stack to address PKI, IoT and blockchain opportunities for a list of identified projects across Censof’s client ecosystem. This initiative will help in facilitating and providing easily integrated enterprise blockchain solutions for financial institutions, corporates, regulators and governments. As a first milestone, WISeKey and Cendee have already deployed a local “WISeKey Malaysian Root of Trust (RoT),” a critical step for the establishment of the Blockchain Center of Excellence in Malaysia. 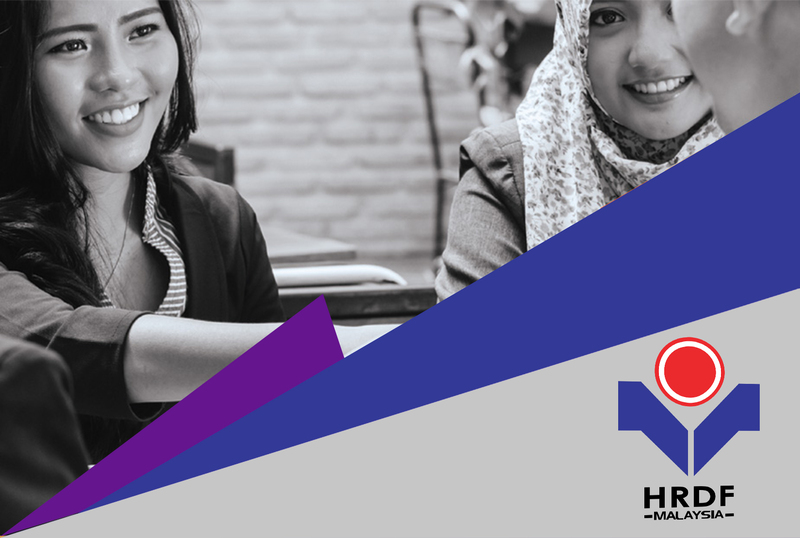 This partnership will complement and expand Cendee’s capabilities to successfully address the requirements of a number of identified projects in various areas with select government entities in Malaysia. In the last few months, WISeKey has also announced the creation of Blockchain Centers of Excellence in USA, China, India, Africa, Latin America and is now in Malaysia, a South East Asian country to host such a powerful ecosystem. To support this endeavour, WISeKey announced several strategic partnerships and is working with experts in industry, government, and academia to address the most relevant Blockchain developments with practical, standard-based solutions. At the heart of this strategy is the OISTE-WISeKey Cryptographic Root of Trust which has been actively used since 1999 by over 2.6 billion desktops, browsers, mobile devices, SSL certificates and Internet of Things / Semiconductors devices. The OISTE WISeKey Cryptographic Root of Trust is ubiquitous and universal, and a pioneer in the identification of objects. “We are proud to collaborate with Censof, a market leader and a trusted partner in providing financial and business management solutions specifically geared to the needs of government agencies. This strategic agreement allows Censof and in particular Cendee to leverage their Cybersecurity and blockchain expertise by combining WISeKey’s broad Cybersecurity portfolio and strengthen Censof’s offering among government and enterprise clients,” said Carlos Moreno, VP Corporate Alliances and Partnership of WISeKey. “The potential benefits of blockchain will help drive efficiencies to our clients. This collaboration is another example of our continued commitment to introduce new financial innovations for the betterment of their business,” said Ameer Shaik Mydin, Group Managing Director. Censof Holdings is proud to announce that we have won two awards at the recent Malaysia Excellence Business Awards 2018 (MEBA 2018). It was a double celebration as Censof Holdings Berhad’s Independent Non-Executive Director, Tan Sri Datuk Wira Dr. Hj. Mohd Shukor Bin Hj. 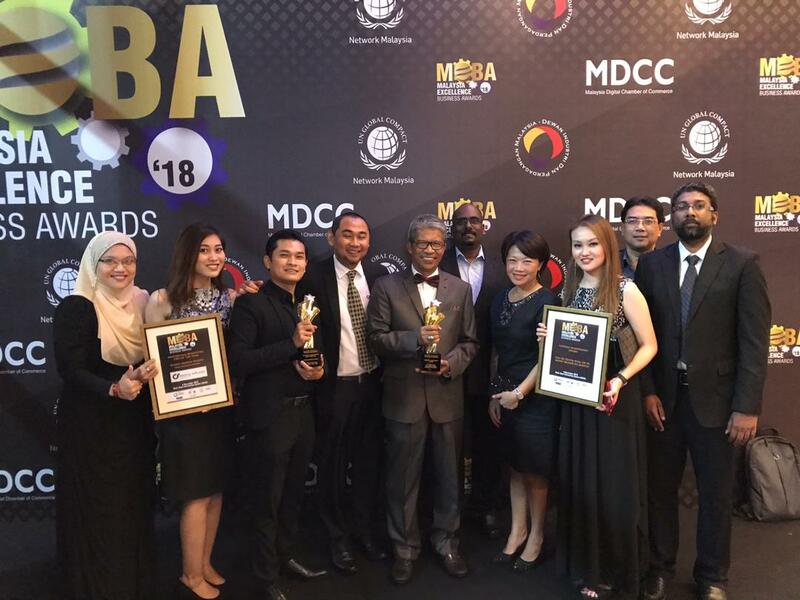 Mahfar won the Lifetime Achievement Award and Century Software’s Chief Executive Officer, Zainul Ariffin Harun won the Masterclass Bumiputra CEO of The Year Award. Held in conjunction with The CEO Innovative Disruption Forum the MEBA 2018 recognizes companies in a variety of regional and global markets for demonstrating outstanding achievement and superior performance in areas such as leadership, technological innovation, customer service, and strategic product development. The prestigious awards programme was co-organised by Malaysia Digital Chamber of Commerce (MDCC) and The Leadership Post and supported by the Ministry of Federal Territories Malaysia and United Nations Global Compact Network Malaysia (UNGC). The awards objective is to recognise accomplishment of individuals and businesses for their contributions to the nation’s economy and progress. MEBA 2018 is an awards programme designed to promote excellence, innovation and best practices in business entities and is widely regarded as the definitive showcase of outstanding businesses and personalities in Malaysia and global. The award is also a commitment to the Government’s call recognizing and supporting home-grown businesses in showcasing its capabilities; services and products to the world yet acknowledging the role play by international community in making Malaysia competitive in the business world. Other winners include Grab, Air Asia Malaysia, Tesco, Westport Malaysia and Prudential BSN Takaful Berhad. Singapore, 28 November 2018 – In an MOU signing between Censof Holdings Berhad and Millet Holdings, a strategic partnership was inked that would provide Millet with market access to Malaysia, where Censof has an established base of more than 407,000 small and medium enterprises (SME) customers since 2008. “We are delighted to announce our strategic partnership with Millet Holdings. We strongly believe that both companies, can leverage from each other’s strengths to create synergies and develop smart innovative solutions for the Malaysian market.” said Ameer Shaik Mydin, Group Managing Director at Censof Holdings Berhad. The MOU will see Millet collaborate with Censof Holdings Berhad on a range of business opportunities that include creative place and space making, creating physical and digital co-working platforms for SMEs in the creative industries, as well as providing consultancy and business solutions using emergent technologies across Malaysia. A pipeline of projects is in the works which will leverage on Millet’s wide-ranging expertise marrying the use of emergent technology. Key projects include the master planning of a SMART CITY with real estate technology solutions Future@Malls and MetaverseCreator by Metaverse, an integrated children technology theme park, Future@Work and Cave Automatic Virtual Environment, an immersive teaching-learning environment for children to experience, experiment and create through the use of new technologies such as virtual reality, augmented reality, holograms and 360 degrees video. RHB Bank Berhad partners Asian Business Software Solutions Sdn Bhd (ABSS) a subsidiary of Censof Holdings Berhad and Payments Network Malaysia Sdn Bhd (PayNet) which operates Financio and JomPAY respectively, to offer a zero-cost payment platform to Small and Medium Enterprises (SMEs) in the country. This partnership will benefit all SMEs using RHB’s e-Solution which provides Financio, a cloud-based accounting software by ABSS. Financio is a component of RHB’s e-Solution, aimed at empowering SMEs to optimise business efficiency. RHB SME customers will now be able to conduct payment transactions and receive JomPAY payments from their customers using e-Invoice solution at zero-cost. The zero-cost which was put into effect yesterday, is expected to benefit all SMEs as e-commerce increasingly grows in Malaysia, and will likely to rise further to more than 20 per cent a year by 2020. “This strategic collaboration with ABSS and PayNet is a significant milestone in RHB’s aspiration to simplify SMEs’ business journey by offering both financial and technology-based solutions. “Through the RHB SME e-Solution, SMEs will be able to enjoy an all-in-one-hassle-free solution that will contribute towards greater productivity and profitability. “In 2017, RHB saw a total of 834,000 transactions processed via JomPAY and through this partnership today, we are targeting to increase the participation of SMEs to 2,500 by end of 2018,” said RHB Banking Group, head of group business and transaction banking, Jeffrey Ng Eow Oo. JomPAY is Malaysia’s national bill payment scheme, under the auspices of Bank Negara Malaysia with the participation of banks and large billers. JomPAY offers an accessible and convenient bill payment ecosystem for consumers, banks and billers, open to customers from 40 banks across Malaysia, allowing customers to pay bills via Internet & Mobile Banking or ATMs nationwide. “We are honoured to collaborate with RHB and ABSS to offer JomPAY as the preferred payment collection service. “I trust SMEs will enjoy cost savings, efficiency improvements and greater convenience with JomPAY,” said PayNet Group chief executive officer, Peter Schiesser. The Financio e-invoice solution, he added, will automatically incorporate the JomPAY Customer Reference Box in the e-invoice to ensure easy activation and convenient acceptance of payments for SMEs through JomPAY. ABSS, chief executive officer, Paul Conway concur his excitement to work together as this opportunity will offer SMEs more innovative and cost-effective solutions. “SMEs remain a largely underserved segment, even while we recognise they are key drivers of the economy. “There is an enormous number of smaller enterprises eager to find business software that is flexible, easy to pick up and use. “We believe with the addition of JomPAY to Financio, there is great scope to deliver robust financial management services that can help SMEs grow faster and remove pain points,” he concluded. In addition to that, RHB SME e-Solution also offers business credit cards to help them with expenses and payment plans. KUALA LUMPUR, Sept 27 – T-Melmax Sdn Bhd (T-Melmax), a wholly-owned subsidiary of Censof Holdings Bhd (Censof), has signed a memorandum of understanding (MoU) with Fass Payment Solutions Sdn Bhd (Fasspay) to drive potential capital growth, improve market access, and procure various business deals together in Southeast Asia. The MoU will enable Fasspay, a wholly-owned subsidiary of Asia’s leading fintech company Soft Space Sdn Bhd (Soft Space), to gain access to the vast list of T-Melmax’s clientele via Censof, while T-Melmax will be able to leverage on Fasspay’s payment technologies for further growth. “Our platform will enable Soft Space to expand its presence within a short time frame and without specific payment barriers whilst delivering the highest quality and security standards. Both parties mutually benefit from the partnership due to greater market penetration and access to new client segments,” he added. PETALING JAYA, Sept 7 – Century Software (M) Sdn Bhd, a wholly-owned subsidiary of Censof Holdings Berhad (“Censof”) announced today that Lembaga Hasil Dalam Negeri Malaysia (LHDNM) portal called HASiL International Data Exchange Facility (HiDEF) Common Reporting Standard (CRS) is now live. Demands for more standardised levels of tax reporting compliance at the international level have been increasing over the last decade. Co-operation between tax administrations is critical in the fight against tax evasion and protecting the integrity of tax systems. A key aspect of that co-operation is exchange of information. The Common Reporting Standard (CRS) contains the due diligence and reporting requirements that are the foundation of automatic exchange. PETALING JAYA: Century Software (M) Sdn Bhd, a wholly-owned subsidiary of Censof Holdings Berhad has secured a RM 3.85 million contract, to provide comprehensive maintenance and support services of ePBT (ePihak Berkuasa Tempatan) financial management system for DBKL. Century Software also recently received an additional contract worth RM999,983 from Pertubuhan Keselamatan Sosial Malaysia (PERKESO) to further enhance their current system of managing of prospective customers and current customers interactions. The additional hardware and peripherals that will increase their productivity and improve customer satisfaction and retention. SAGA accounting system was introduced for better governance, efficiency and timely submission of statutory reporting requirements in federal government agencies. The integration of these system and framework will help the company stay connected to customers, streamline processes and enhance profitability. The system will allow PERKESO to document everything from basic information to specific communications with their customers. “The ongoing relationship with DBKL and PERKESO is a testament to our ability to evolve our solutions alongside the demands of our customers and continually support their business objectives by providing the functionality and reliability they require. ” he added. With over 80 government agencies as their clients, Century Software is currently the leading government financial management solutions provider. Century Software also provides customizable business solutions in the area of business performance, business intelligence, data analytics and application development.